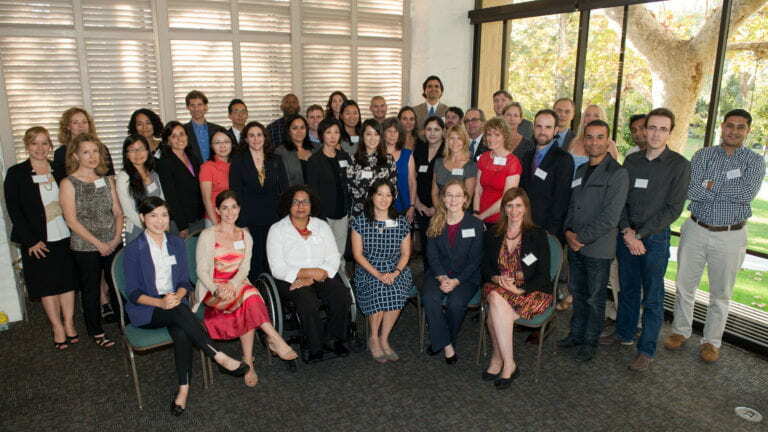 UC Irvine deans introduced new faculty members last week during a welcoming event at the University Club. The 2013-14 cohort of 77 recruits is one of the largest ever at UCI and includes 13 full professors and one dean. “You are what our ongoing progress looks like,” he told those gathered. Gillman encouraged them to do all they could to support diversity – among both the faculty and student populations. Jennifer Pastor, professor of art: Described as one of the leading artists of her generation, Pastor is known for sculptural installations including “Endless Arena,” “Dead Landscape” and “Perfect Ride” – some taking up to five years to complete. Her work has been exhibited in major museums around the world and included in the Whitney, Venice and Sao Paulo biennials. Pastor, who earned an M.F.A. at UCLA, comes to UCI from UC San Diego, where for 12 years she was a professor in the Department of Visual Arts. Bruce McNaughton, Distinguished Professor of neurobiology & behavior: One of the foremost experts on how the brain stores memories, McNaughton joins three other biological sciences faculty members with the Distinguished Professor title – one of the campus’s highest academic ranks. His work integrates theory, computational modeling and technological development to decode the neural mechanisms of learning and memory, and McNaughton’s research contributions have significantly advanced the understanding of memory. Eric Spangenberg, dean: Spangenberg is renowned for his work on the effects of olfactory and musical cues in the retail environment and the effects of self-prediction on behavior. His research has been published in the field’s top journals and covered in The Economist, Fast Company, The New York Times, The Wall Street Journal and The Washington Post as well as on the BBC, CBS, Yahoo News, Salon and Boing. He earned a doctorate in 1990 at the University of Washington and was dean of Washington State University’s Carson College of Business from 2005 to 2014. A committed fundraiser, Spangenberg served in leadership positions on faculty senate and faculty affairs committees before entering administration and is an active volunteer for the Association to Advance Collegiate Schools of Business. 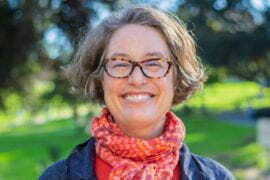 Susan Morrissey, professor of history: Coming to UCI from University College London, Morrissey is a historian of modern Russia who also looks beyond the boundaries of her field – both geographically and methodologically – to connect Russian history to world history. Her interdisciplinary perspective combines social and cultural history to examine subjects related to modernity, the formation of social-scientific and medical disciplines, and the construction of the self. The topics of Morrissey’s research range widely, from protest movements and revolutionary terrorism to suicide and nervous illness. She has a doctorate from UC Berkeley. Michele Bratcher Goodwin, professor: Goodwin is founder and director of the law school’s Center for Biotechnology & Global Health Policy. She earned a J.D. at Boston College Law School and an LL.M. at the University of Wisconsin and was a Gilder Lehrman postdoctoral fellow at Yale University. Her research concerns the role of law in the promotion and regulation of medicine, science and biotechnology. 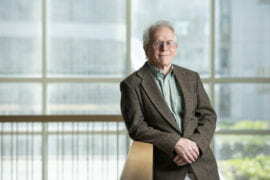 Goodwin researches and teaches constitutional, property and biotechnology law; bioethics; and cultural politics. Her scholarship defines new ways of thinking about supply, demand and access to sophisticated medical technologies, spanning genetics (human and modified organisms), organ transplantation, assisted reproductive technology, and the creation of families. She is a prolific author and public voice on civil liberties and human rights. Kaaryn Gustafson, professor: Co-director of UCI’s Center on Law, Equality & Race, Gustafson earned a J.D. and a Ph.D. at UC Berkeley. Her research examines the role of law in remedying and reinforcing inequality, specifically focusing on the administrative overlap between the welfare and criminal justice systems and the experiences of individuals and families caught in those systems. Gustafson’s current work explores the history of law in regulating African American families and in regulating labor among poor people of various ethnic backgrounds. Song Richardson, professor: Richardson, who has a J.D. from Yale Law School, researches criminal procedure, criminal law and policing. Her co-edited book The Constitution & the Future of Criminal Justice in America was published this year by Cambridge University Press. Richardson is the 2011 recipient of the Association of American Law Schools’ Derrick Bell Award, which recognizes a junior faculty member’s extraordinary contribution to legal education through mentoring, teaching and scholarship. A member of the American Law Institute, she frequently presents her work at academic symposia as well as at nonacademic legal conferences. 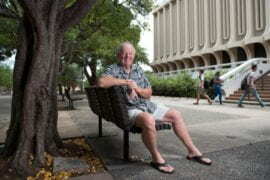 Gregory Shaffer, professor: Shaffer, who earned a J.D. at Stanford Law School, directs UCI’s Center on International, Transnational & Comparative Law. He has written six books and more than 80 articles and book chapters on international trade law, global governance, and globalization’s impact on domestic trade policy. His cross-disciplinary work addresses such topics as public-private networks in international trade litigation and comparative institutional approaches to trade-social policy conflicts. 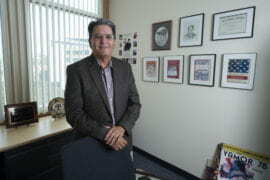 Shaffer previously was the Melvin C. Steen Professor of Law at the University of Minnesota. He practiced law in Paris for seven years and has received multiple U.S. National Science Foundation awards. Karen Edwards, professor of epidemiology: Edwards comes to UCI from the University of Washington’s School of Public Health. Her career in genetic epidemiology focuses on elucidating the complex interaction of genetic and environmental factors and their impact on chronic disease risk, a field of endeavor that’s both highly relevant to current healthcare concerns and likely to yield translatable solutions. Michael McClelland, professor of microbiology & molecular genetics: Also a professor of pathology & laboratory medicine, McClelland most recently was scientific director at the Vaccine Research Institute of San Diego. He and his UCI lab team use genomics to study the evolutionary biology of enteric bacteria and the dysregulation of genes that occurs in cancer. 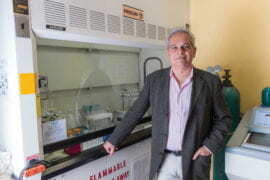 McClelland, who earned a Ph.D. at the University of Georgia, has published more than 250 peer-reviewed papers, which have been cited in excess of 20,000 times. 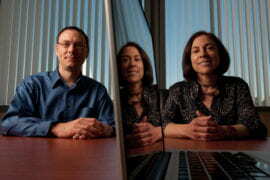 He also works with a number of companies developing cancer prognosticators and cancer therapies. Richard Van Etten, professor of hematology/oncology: Dr. Van Etten arrived at UCI last October from the Cancer Center at Tufts Medical Center in Boston, where – as director – he launched an experimental therapeutics program targeting cancer cells with pharmaceuticals rather than chemotherapy. 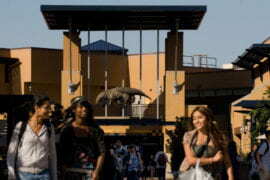 He plans to re-create that model as head of UCI’s Chao Family Comprehensive Cancer Center. Van Etten specializes in blood cancers – leukemia, myeloma and lymphoma – affecting the production and functioning of blood cells, which develop from stem cells in bone marrow. He earned an M.D. and a doctorate in biophysics at the Stanford University School of Medicine. Richard Schoen, Distinguished Professor of mathematics: Schoen earned a doctorate at Stanford University and was Anne T. & Robert M. Bass Professor of Humanities & Sciences there. His research involves using analytic techniques to attack problems in differential geometry, with applications to general relativity. Among his many honors and awards, he was a MacArthur Fellow from 1983 to 1988 and won the American Mathematical Society’s Bôcher Memorial Prize in 1989. Schoen was elected to the American Academy of Arts & Sciences in 1988 and the National Academy of Sciences in 1991. John Duffy, professor of economics: An accomplished experimental macroeconomist, Duffy comes to UCI from the University of Pittsburgh, where he directed the Pittsburgh Experimental Economics Laboratory. He’s co-director of UCI’s new, state-of-the-art Experimental Social Science Laboratory, where a team of experimental and behavioral economists work to better understand issues ranging from adaptive learning to dynamic asset pricing. Eric Swanson, professor of economics: An expert in risk, financial markets, monetary policy (including China’s) and macroeconomics, Swanson comes to UCI from the Federal Reserve Bank of San Francisco, where he was a senior research adviser and economist. His work has been cited in The Wall Street Journal and the Financial Times, among other venues.